Small-to-medium businesses are the power-house of the UK economy. At the start of 2017 small businesses formed 99.3% of UK businesses, employing 16.1 million people in total. Always hard-pressed, they are now under particular pressure from all angles – from the economy, political developments, and skill shortages. While they navigate each challenge it’s important not to lose sight of their most valuable asset – their employees – and how to get the best results from workforce management. It makes sense then for savvy SMEs to look for ways to maximise performance – improving productivity, increasing sales and offering value for money. One area which they cannot afford to ignore is how they manage their employees. Recruitment, induction, time tracking, training and payroll all take time to manage. Small businesses with even smaller staffing budgets often struggle to stay organised and manage these HR tasks. Fiddly paper-based records or customised spreadsheets held on local PCs can hold a business back. ● Are we attracting the right talent for the roles in the business? ● How can we keep track of my employees’ hours? ● How should we respond to holiday request? ● What are the sick leave, or lateness levels in the firm? ● How can we make payroll processing easier? Fortunately, great advances have been made in recent years in harnessing the power of technology for the everyday functions of HR. Small business can take advantage of IT developments to compete with larger rivals. This is because the right HR software can enable SMEs to do what it would have taken many HR staff to achieve, often needing larger staffing budgets than they can afford. ● Performance reviews – software can record reviews and track progress against agreed targets while giving ready access to past progress. 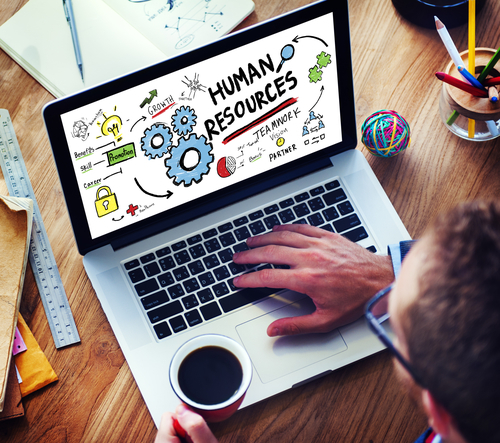 These are just some of the key benefits which HR software can bring to business. Once up and running, the overarching benefit is that HR software solutions can save a whole lot of time and money. Consider the amount of time you or your managers spend on these tasks – printing off forms, reconciling the payroll or working out the holiday calendar – it soon adds up. Beyond the time and money saved, another key benefit is achieving legislative compliance and managing risk. For example, the recent auto-enrolment laws on workplace pensions require every UK employer to enter staff into a pension scheme and contribute towards it. The whole process is far easier to manage with the right HE software rather than more outdated methods where missing out an employee or getting the calculations wrong can land you in trouble with the law. It’s not only the admin functions which matter. 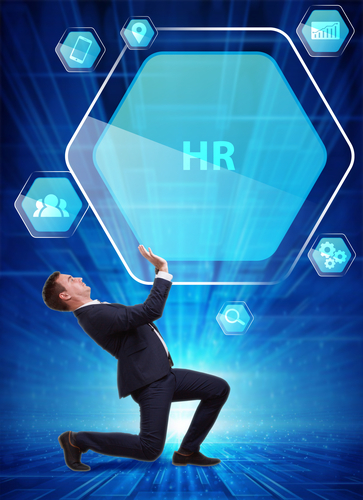 The role of HR itself has rapidly changed in recent times. Apart from its administrative functions (eg. agreeing employment terms and conditions, issuing appointment letters, liaising with payroll), the HR perspective has now become integral to improving any business. It’s said that in some fifteen years’ time, 30% of British jobs could be done by robots and artificial intelligence (Guardian). This will throw up some interesting challenges, for example, whose job will it be to manage the ‘bots’ - HR or IT, or a combination? That scenario is still some way off. At the moment SMEs still need to manage people. Nevertheless, the organisational HR trends for 2018 include the increased use of technology, of ‘virtual team’ working and of ‘gig economy’ workers. (CIPHR). What HR software should you use? So once you’re convinced that you need to reboot the HR function in your firm, what should you go for? There’s lots of choice out there so you need to shop around – consult your trade associations, get recommendations and consult professional IT experts. For hiring new talent, those recruiting could make use of established online sites such LinkedIn to pro-actively seek candidates. Sites such as Indeed can be used to post jobs, review applications and manage candidates. Also increasingly popular now is ‘software-as-a-service’ (SaaS) or ‘on-demand software’. This is software which is cloud-based and therefore it won’t clog up and slow down local PCs and servers. It’s ideal for small businesses because they can sign-up for a monthly subscription and can often scale up, or down, as the business demands. Companies will often give you a free demo and even a free trial so be sure it includes the features you want. It’s important to choose the right software and to implement it correctly. Research has shown that expectations can sometimes fall short of reality. KPMG found that 63% of those business it surveyed expected greater value from their HR software investment than they felt had been achieved. Meanwhile Personnel Today suggest that reasons for failure to live up to the promise include over-expectation, opting for complicated software, underestimating the change issues within their own firm and not leading the change properly. 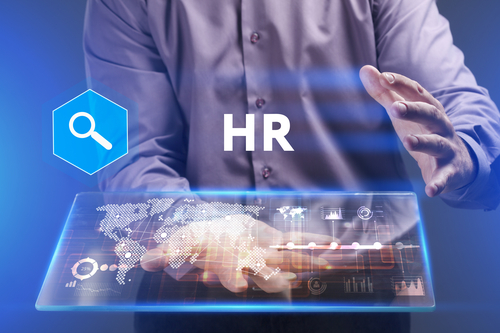 However, busy with their everyday core business, we understand that many SMEs lack the time, and sometimes the digital skills, to scope and identify the most appropriate HR solutions – let us help. At 360ict Ltd we offer an initial consultation meeting free of charge. We would be delighted to discuss your HR management needs and can offer advice on a variety of common HR trouble spots such as time management systems, absence management, setting up different levels of access for different levels of staffs, and much more. We also have access to HR specialists who can help if you have more specialised needs such assistance with disciplinary procedures or litigation. We understand the importance of personnel management and can offer simple and affordable support, leaving you free to get on with your business . If you need help with HR solutions, let 360ict.co.uk help.